I don't like the stretched look. Im planning on Karlton flares but not the "slammed" or " hella flush" look either. I live in ND where the roads aren't always that great. Also planning on fully adjustable coilovers, and other suspension mods. 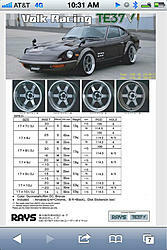 Here's a size chart for the wheels. if you are going to be running the flares, you will need a lot wider wheels than that. I would be looking at 18x10.5s or 10s at the least. and thats not even a flush look. I'll look into that. I think I'm gonna stick with the 17" though. I kinda like meaty look. Dang! So basically you have to have 18's just to make them look right. I guess if I want the flares I gotta ditch the wheels, and if I want the wheels it won't work with the flares. That looks nice. I'm kinda new to the offset ratings. I really really like the deep dish set up. 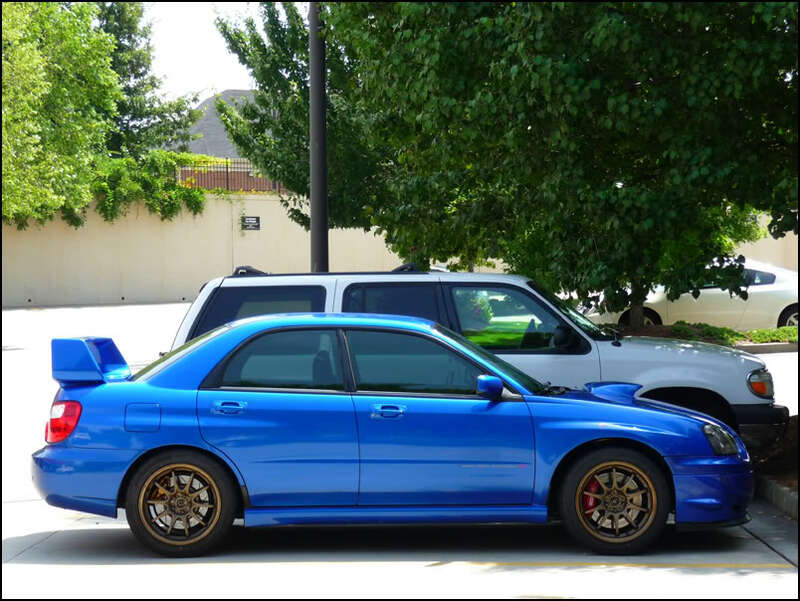 Ive seen plenty of sti's with deep dish wheels. What would I need to do if I just scrapped the flares and went with a set up with a 17"x9 deep rim depth such as the volk te37v's with the 80mm rim depth? Light fender roll, and a camber adjustment up to -2 degrees. This set up is to compliment a DD for slightly rough roads, and monthly track use. Also the tire size is to make the 17's not look to small, and fit right. The guy at ccw (wray) also mentioned using staggered sizes. Interesting. ^^ That's pretty spot on. Though you could still put the 265 on a 9" wheel. The reason most go to 18" is because options for 17" start to get pretty limited when you want 10"+ and a 295+ tire which is what most people with flares go for. this is with flares right?